Services - K.A.M. 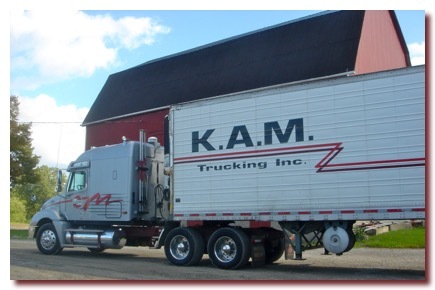 Trucking Inc.
K.A.M. 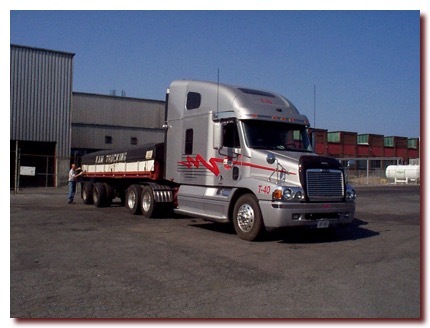 Trucking Inc. provides truckload service between Southern Ontario and New York City (Brooklyn, Bronx, Queens, Staten Island, and the entire length of Long Island), in addition to Northern New Jersey. We regularly provide interlining services to reputable carriers who need help in delivering their customers goods to New York City. 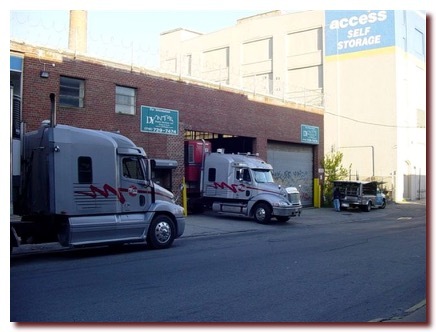 We make weekly deliveries of Southern Ontario produce into the Hunts Point Terminal Market in New York City. All refrigerated trailers in the fleet are modern high cubes, and thus have the necessary height, and width to accommodate most typical dry van loads. Pallet Jack, and driver Hand-bomb service available. K.A.M. enjoys a low driver turn over, with 70% of our drivers being with us for 8 years or more. Most highway drivers are FAST approved and are TWIC card holders.